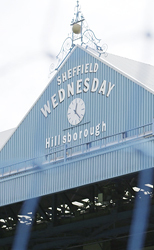 Hillsborough: In Britain's worst sporting disaster 96 died and hundreds were injured. The Opposition: Politics changed the outcome of a World Cup qualifier between the Soviet Union and Chile in 1973. 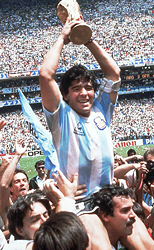 Maradona '86: In the 1986 World Cup, Diego Maradona reached his apotheosis, redefining what is possible on the pitch. 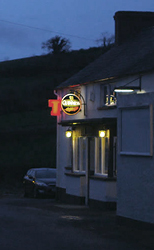 Ceasefire Massacre: In 1994, as Ireland played in a World Cup match in New Jersey, terrorists attacked fans at a tiny bar in Ireland. 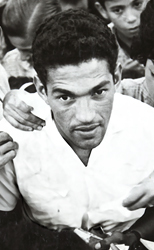 The Myth of Garrincha: Mané Garrincha was told he wasn't physically fit to play pro soccer. He proved them wrong. 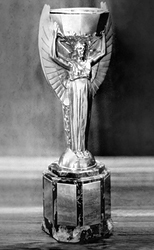 Mysteries of the Rimet Trophy: Ottorino Barassi, an Italian soccer official, tries to protect a valued treasure from the Nazis. 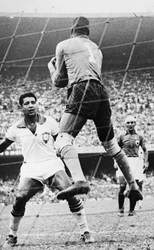 Barbosa: The Man who Made Brazil Cry: In only moments, goalkeeper Moacir Barbosa forever earned the title: The man who made Brazil cry. 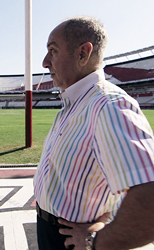 White, Blue and White: Ossie Ardiles left Argentina to play soccer in England. Then, on April 2, 1982, Argentinian troops descended on the British-ruled Falkland Islands. The Spirits of St. Louis, an entertaining and at times controversial team that played only two seasons in the American Basketball Association, who continue to exist in the most unusual fashion. A look at the November 1980 re-match between Sugar Ray Leonard and Roberto Duran and how two infamous words haunt both. How a scam of epic proportions plagued an iconic NHL franchise. Jimmy Connors improbable run at the 1991 U.S. Open and how his polarizing personality made tennis a high-octane spectator sport. A pair of New Yorkers went to Tennessee and formed one of college basketball's most unforgettable tandems. The interconnected journey and evolving relationship of two former Ohio State stars -- RB Maurice Clarett and coach Jim Tressel. On April 15, 1989, 96 died and hundreds were injured in Britain's worst sporting disaster. 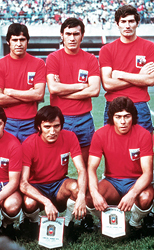 Politics changed the outcome of a World Cup qualifier between the Soviet Union and Chile in 1973. In the 1986 World Cup, Diego Maradona reached his apotheosis, redefining what is possible on the pitch. In 1994, Ireland played in a World Cup match in New Jersey, terrorists attacked fans at a tiny bar in Ireland. Decades later, family members still have questions. Mané Garrincha was told he wasn't physically fit to play pro soccer. He proved them wrong. Ottorino Barassi, a mild-mannered Italian soccer official, tries to protect a valued treasure from the Nazis. In a play that lasted only moments, goalkeeper Moacir Barbosa forever earned the title: The man who made Brazil cry.